The aim of organisation is to develop international R&D projects, technologies, through technology transfers, while forming an effective platform for innovation, enabling the realisation of ideas by providing consultancy services for the academia and industry. Suntek International contributes to companies technology transfer from abroad, to enable production of state of art technologies inland. 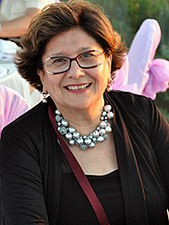 Founding president Nilufer Egrican, Ph.D, Professor of Mechanical Engineering, has served in universities for 40 years as Faculty Member, Dean and Vice President responsible of R&D activities and industrial relations. Every Suntek International team members and subject matter expert is a customer-based strategy specialist. By combining deep strategic and functional expertise with powerful intellectual capital, Suntek International meets business challenges head-on from an enterprise-wide view across all energy related areas. Suntek International leverages the best customer-centric business strategy from a vertical industry perspective, with a strong client based in major industries such as renewable energy and others.